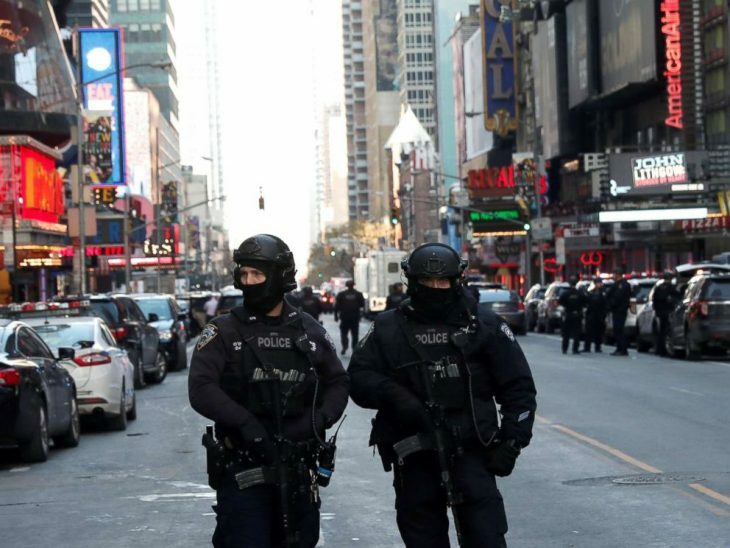 Police officers stand on a closed West 42nd Street near the New York Port Authority Bus Terminal after reports of an explosion in New York, Dec. 11, 2017. 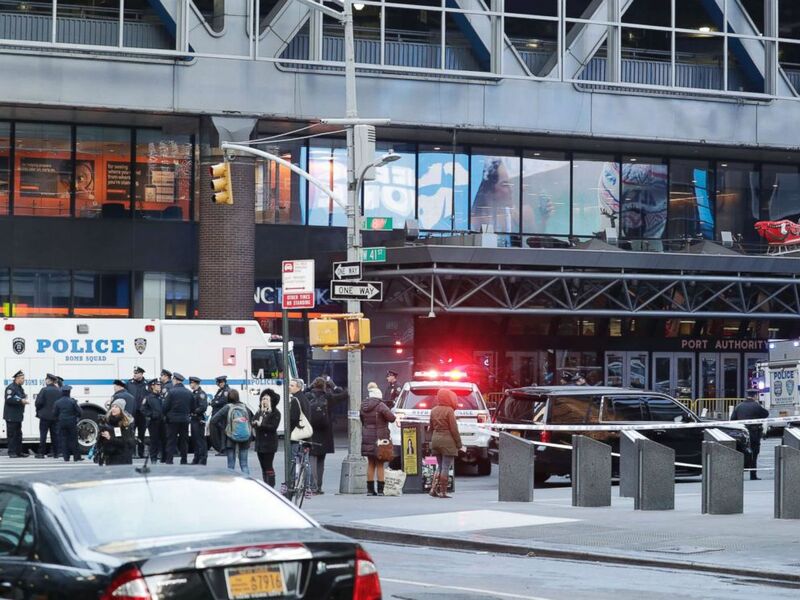 A suspect is in custody today after allegedly detonating a small explosive device in an “attempted terrorist attack” in the New York City subway system, sending commuters scrambling to evacuate a major transit hub just blocks from Times Square, city officials said. 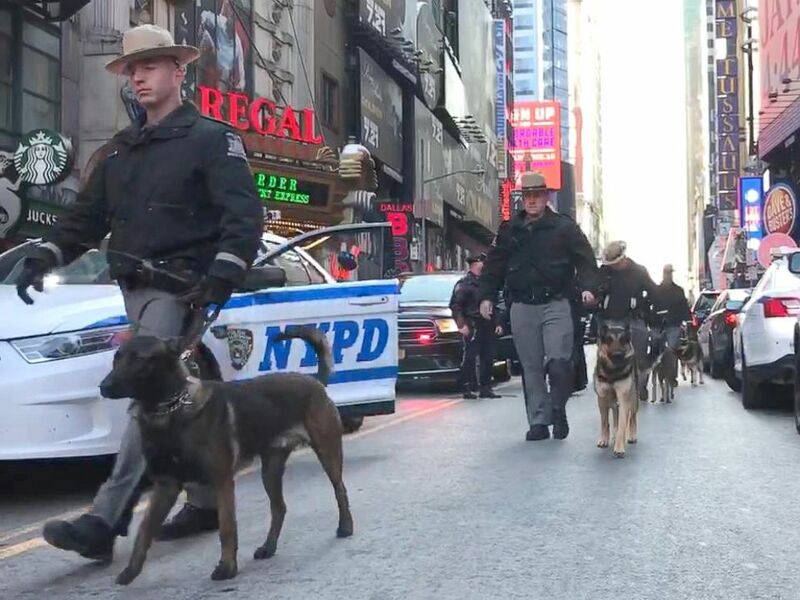 Police dogs marching from Times Square to Port Authority, Dec. 11, 2017, in New York City. Authorities called the explosive an “improvised low-tech explosive device” that was based on a pipe bomb and was attached to the suspect with Velcro and zip ties. 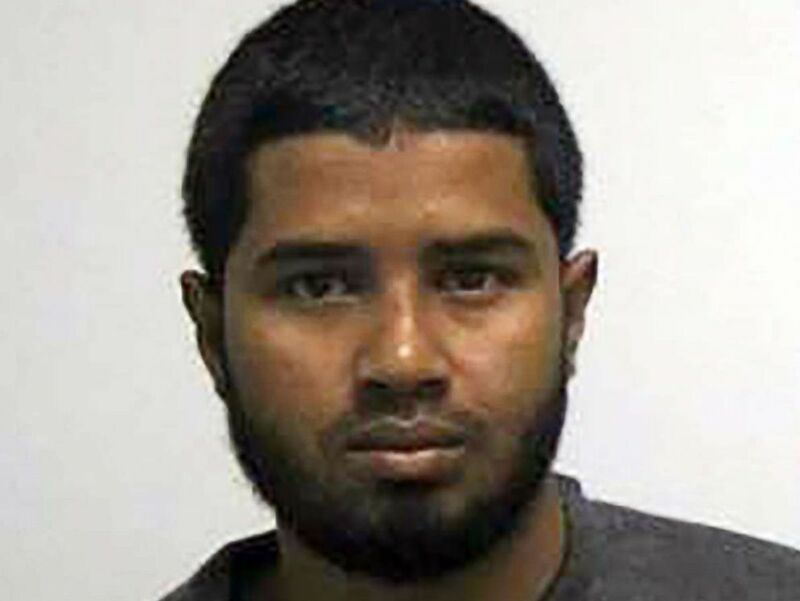 Akayed Ullah is pictured in an undated photo released by the New York City Taxi and Limousine Commission. Police activity outside the Port Authority Bus Terminal following reports of a confirmed explosion inside an underground tunnel in the building in New York City, Dec. 11, 2017. Video of the incident, shot by a surveillance camera, shows commuters’ walking in the passageway when the explosion erupts. The camera screen filled with smoke as people scattered. 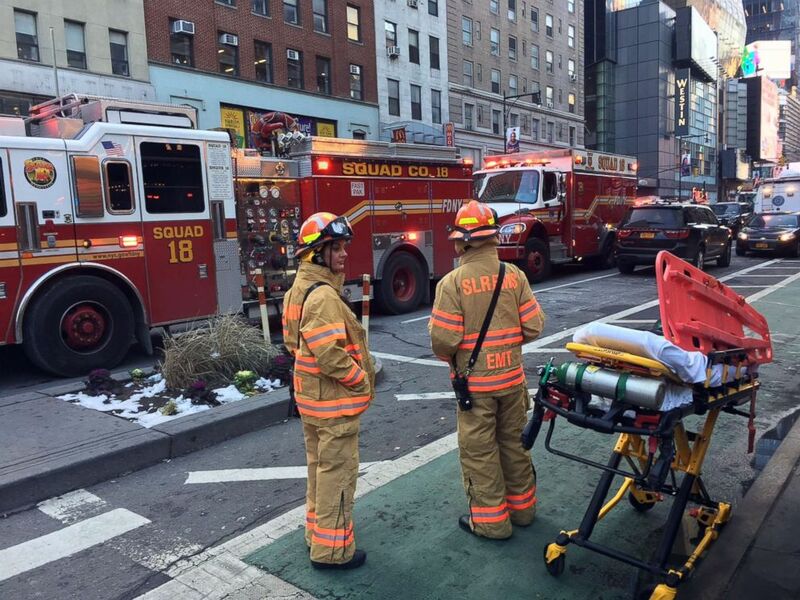 Police and other first responders respond to a reported explosion at the Port Authority Bus Terminal, Dec. 11, 2017, in New York City. Port Authority Police Department Officer Jack Collins, who was undercover at the time looking for children being trafficked at the bus terminal, apprehended Ullah, with the help of three other officers. The suspect entered the United States from Bangladesh seven years ago on a family-based visa and has an address in Brooklyn, sources said. The explosive was assembled in his apartment, sources said. “Thank God the perpetrator did not achieve his ultimate goals,” New York City Mayor Bill de Blasio said. The bus terminal was temporarily closed but has since reopened. 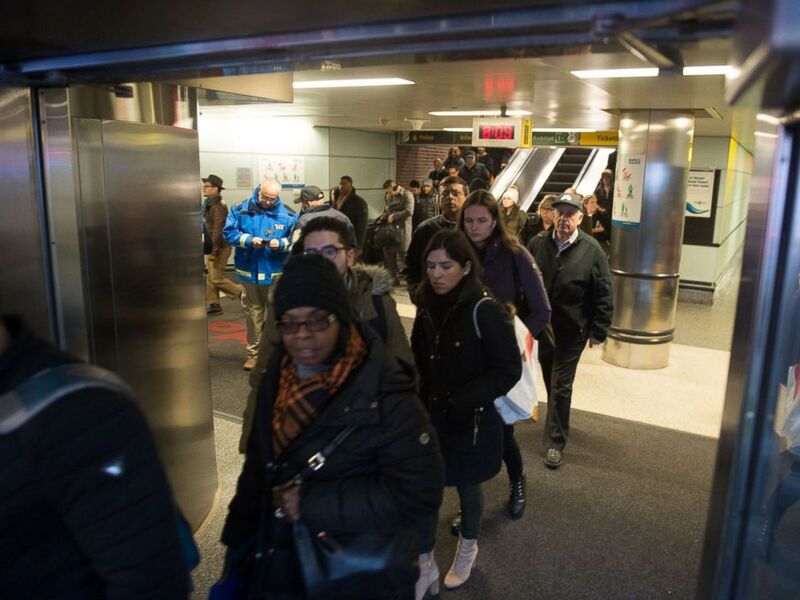 Subways were bypassing the terminal and Times Square stations. 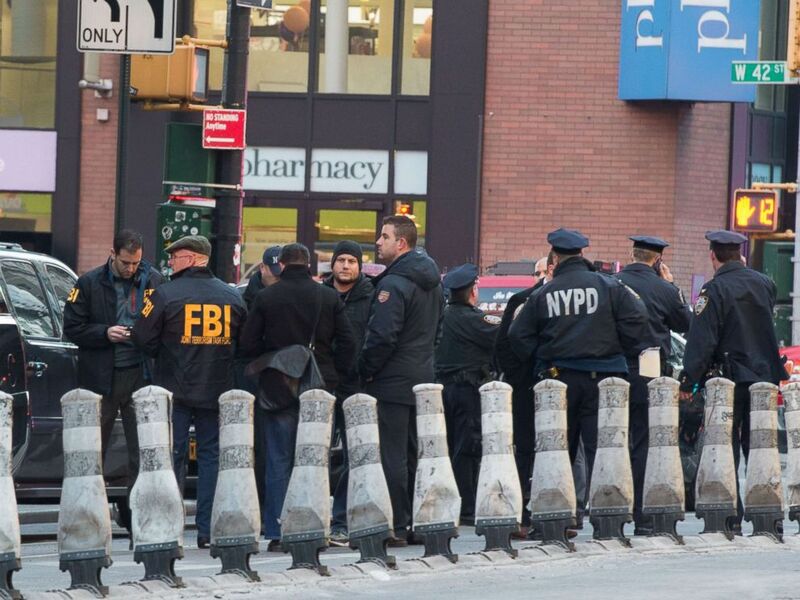 FBI and police respond to a reported explosion at the Port Authority Bus Terminal, Dec. 11, 2017, in New York City.